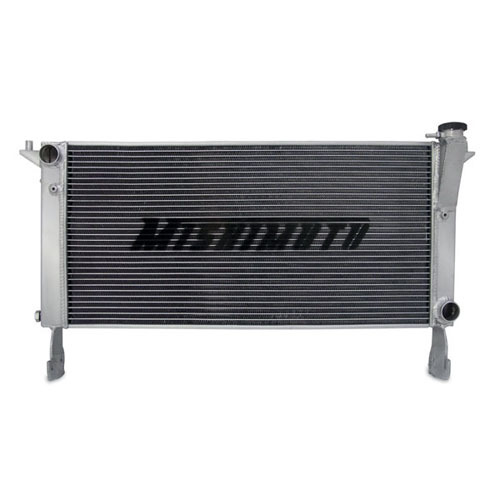 Mishimoto has developed a performance aluminum radiator available for the 2010 Hyundai Genesis Coupe. This is the ideal upgrade to your stock Genesis Coupe radiator. Having a turbo set up produces a great amount of heat; by replacing your current Hyundai Genesis radiator with a top of the line Mishimoto performance aluminum radiator you will undoubtedly notice a cooler, more efficient running engine. The new application is specifically designed and engineered as a direct OEM fit with no modification required for easy installation. 32.48" x 17.8" x 2.47"
Want this item shipped out today, April 24? Order within the next 14 hrs 50 mins.